At some or the other stage of business you will look for an email marketing service, as email marketing has become one of the latest and best ways to attract customers. There are many email marketing service provides available online. Here the only work to be done by you is to hire the best marketing service for your business. By the best email marketing service, we mean that the one that perfectly suits your business. Now, how to choose the best email marketing service for your business? Here in this article, we have provided a few tips that you can follow to select the right email marketing strategy. The very first points to be discussed on is, how large is your audience list? Do you need any support tool in order to build that list? Once you are done with your list, you need to know about your subscribers and decide, whether to treat them equally or not. You may also need to change your engaging strategies, as new customers may not be comfortable with your previous one. is that every customer of yours may not like the content or format of content present the email. As a result of this, you may need to provide different customer with different types of emails. So while selecting an email marketing service, do consider this point. How Often Should Your Subscribers Receive Emails? 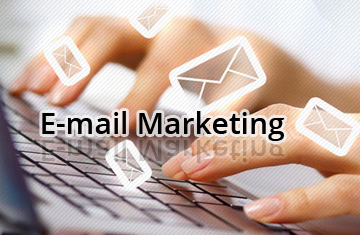 Email marketing is considered as one of the reliable and consistent method to attract new customers. So, here before considering the size of your audience, you need to anticipate how fast it can grow. The main aim of your emails should be addition of new customers to your existing list of valuable subscribers. The emails that you send to your customers should have some strong purpose, as purposeless emails may lead them towards the unsubscribe button. Always showcase the advantages that they can achieve through your services. All this will strengthen the bond between your business and customers. Another tactic that you can use to spread your business, is the involvement of social media in emails. Yes! This trick may fetch you more number of customers. And this involvement of social media with emails can be done by providing share buttons in the emails. So, if that particular email subscriber likes your service and feels it to be helpful to others, then the social sharing options provided by you may help them do that. Every EMP may provide its customers with particular services and features. The support options provided by them are also different. Selection of the best email service provider can be done successfully if you know your requirements. Once you are done with the kind of services needed by you for your business, then selection of a perfect service becomes easy. So, these were the basic things that you need to consider before choosing an email marketing service for your business. Many reliable and famous marketing providers like constant contact or aweber are available online. Make the perfect choice and try hard to make your business a great success.